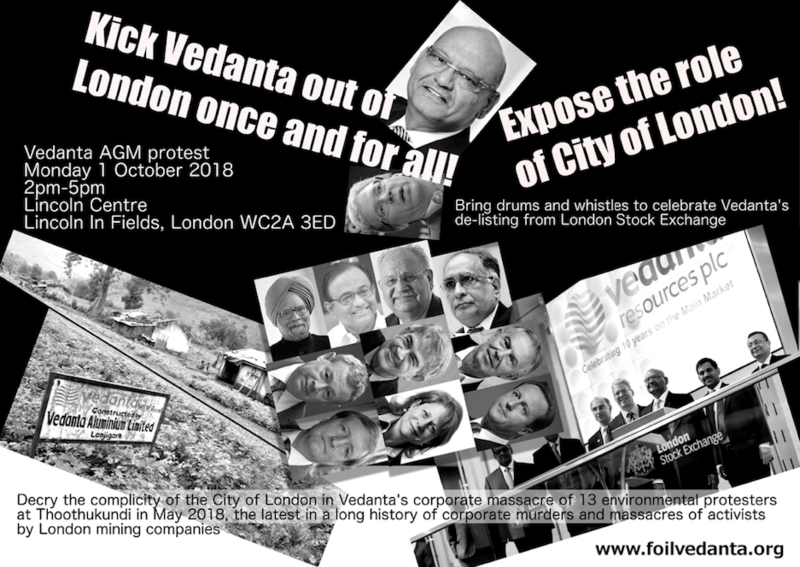 Published September 26, 2018 at 937 × 664 in Call out – JOIN Protest at Vedanta’s Last London AGM on 1st October! Vedanta AGM protest leaflet 2018. Foil Vedanta.